VIENNA, VA - The NAACP gathered in the First Baptist Church of Vienna this past Thursday with the intent of discussing the state of black politics in the wake of the controversy surrounding Gov. Ralph Northam (D-VA). In February of this past year, a photo from Northam’s medical school yearbook was released to the public. It portrayed two men: one in blackface and the other in a KKK cloak and hood. The governor first confirmed that he was in the picture, but later denied that either of the people portrayed were him. Despite several groups and Democratic politicians calling for his resignation, the governor has refused. The First Baptist Church of Vienna is an unsurprising location for the NAACP. The establishment has a long history, dating back to 1867. The hallway has a display case where an African heritage Bible and a picture of President Obama sit side-by-side. The panelists are set up before the altar, an impressive stain-glass window of a white dove as the backdrop. The two tables are fitted on either side of the podium at which stands the moderator. In the past, the church was often a focal point of life for African Americans, because they were all cooperative in one goal: justice. The church was their mouthpiece as long as they remained united in what Pastor Thomas called a “burning platform.” However, once the voting laws were made just and Jim Crow was abolished, that was no longer the case. The second question was posed to Najja K. Baptist, a pop culture analyst and political scientist. “Do black votes matter?” the moderator asked. E.J. Scott, the Chair of the Democratic Black Caucus of Virginia, was given the question of whether Democratic politics sync up with the “black agenda.” She believed that yes it does, citing the Democratic emphasis on education and income equality. Zakiya Worthey, president of Just Advocacy, was the final speaker, talking about the street-level view of the Democratic party. She spoke about how the black vote, especially those of black women, are often taken for granted by Democratic politicians and that they should instead earn their vote. She described her experience at the Black Caucus, saying that it was "very plantation-like" the way the caucus followed the Democratic agenda. One of the first questions presented to the whole panel was whether or not the governor's blackface actually matters now, since it happened almost 40 years ago. 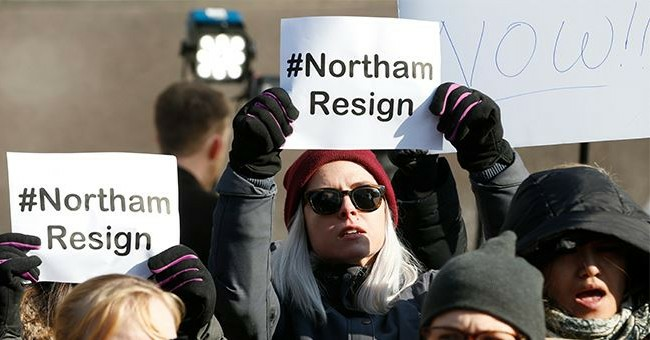 The panel unanimously agreed that it does, saying that it was "not acceptable" and that Northam should be ashamed "not having the decency" to resign. By refusing to step down, they said, it was setting a new example to politicians; "they can operate in a very dysfunctional way" and not have to worry about consequences. During the post-panel Q & A, there was much talk about changing tactics. The panelists claimed that voting and protesting was no longer enough to advance the agenda of the "black community." At one point, Baptist quoted Martin Luther King's belief that "A Riot is the language of the unheard." Except, he replaced the word "riot" with the word "uprising." "The system has adjusted to your protest," Baptist said. His belief is that the government has gotten to the point where they can control whether or not black protests have any effect on them.